Designed for maintenance,it uses the most advanced short-cuircuit protection resume. 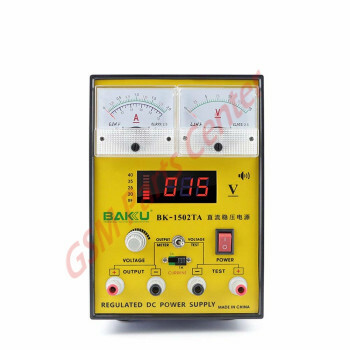 The protection of the rapid rate of,And a sound and light alam,after treating the unshorting.To be ruled out after in 1 second automatically resume output. 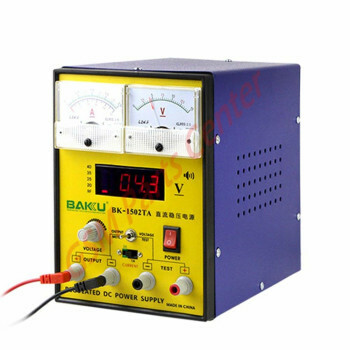 Voltage measurement interface.Can be replaced by precise digital voltmeter measurements voltages DC. Voltage regulation 0­-15V; current regulation 0­-2A. 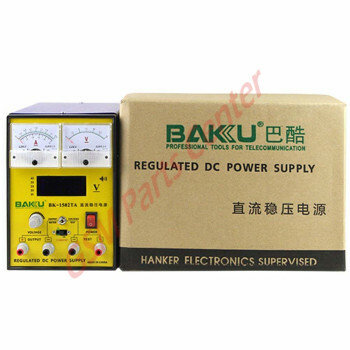 Maintenance of communications-specific power,the power supply is designed for mobile phones and other communications equipment.